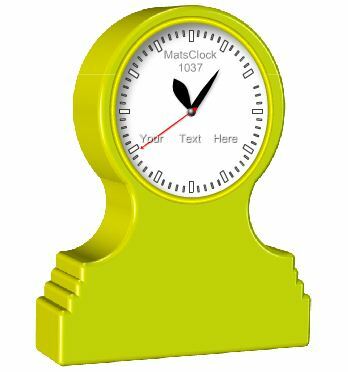 Click on the Picture of the MatsClock to run or view the MatsClock Free Flash Clock on your Mobile Phones. This runs the Flash Clock in html5 format on your Mobile Phones. Today's mobile phones do not support flash swf file format. On a computer (PC/Laptop) it is preferable to click on the "FullScreen" button because this gives all the features of the matsclock free flash clock in the flash player plugin of your internet browser. Q: MatsClock Flash Clock Not Running? A: All the flash clocks on this site are .swf flash movie files that needs a flash player to view. Almost 99% computers and internet browsers available today come with flash players pre-installed. You may download the latest version of flash player from Adobe.com. Most browsers support flash plugins. In case your computer has many other types of files also failing to open then your computer has some file association error. You need to find out all the errors and fix them before you continue to use your computer not only to view matsclock free flash clocks, but also to improve your computer performance. I would strongly recommend you to Download Uniblue Powersuite Pro which is a very safe and reliable computer error repair and PC/Laptop Performance Optimizer software. Moreover, it is very simple to use without any experience or knowledge. Why live with a costly high end computer you spent your hard earned money and not get the rated performance from your computer. Get the maximum rated performance from your computer with Uniblue Powersuite Pro for a little extra cost that won't dent your pocket. MatsClock Seconds Needle Jumps ? A: All the matsclock free flash clocks are under 30 kb usually. Some matsclock are just about 7 kb or less. Thus matsclock takes up a very little system resources on your computer. Yet if you see that some of the matsclock free flash clocks seconds needles are jumping instead of being smooth then you need to close any large system resource hogging program that may be running in the background or which you may have opened. This can be some word processing software, photo editors, 3D software etc In case your RAM is less then even this may not work. To get a better performance from your computer we recommend you cleanup your temp folders in Windows and defragment your hard disk and Windows Registry and such other maintenance tweaks. In case you want to tweak some of your Windows hidden settings and get most of the computer optimization done automatically then I still recommend you Try Uniblue Powersuite Weather you like it or not, Uniblue Free Trial finds out and displays what is slowing down your computer performance and you can then do a manual repair if you know how to do it. Read More..
Q: Flash Clock Shows Wrong Time ? A: All the flash clocks you download from matsclock.com will show the local time running in your computer. Some flash clocks are specifically designed to display the GMT or Greenwich Mean Time. All the flash clocks take time reference from your computer's time settings and time zone settings. So if the flash clock is showing the wrong time then your computer time is set wrongly. To fix the correct time on your computer you need double click the clock running in your task bar at the bottom right of your monitor screen. Click on the change data and time settings. Now click on the "Internet" tab and then click on the change settings and then click on the "Change Settings." Now you see the button "Update Now". Click on it and wait for a few seconds and Windows should display that your time has been updated from one of the available time servers. If you run any flash clock you should see the correct time. Q: How to Download All Flash Clocks ? A: You can click on the Clock Download link on the left side of the page in yellow. The download button on the page contains all my Flash Clocks in a single .zip file. Zip files are compressed files which can be opened by your computer easily. Once the zip file opens just click on the files you want by keeping your left mouse button and dragging it out into a folder or your desktop and release the mouse button. You can either drag each of the dozens of free flash clocks one at a time or you may click the first flash clock with your mouse button and then Alt+Click the last flash clock to select all of them. Now drag all the files in one go to the location you want. Q: There is No Icon on Free Flash Clocks ? A: The reason why the Free Flash Clock swf file has no icon is that the flash.swf files have no program associated with it. You may visit adobe.com and download the free flash player and install in your computer or alternately you may use FILECURE which is small software which will fix all the file association and file extension problems in your computer. Filecure will fix all problems like files failing to open when you double click on it or you got an email attachment that cannot be opened in your computer etc. Q: How to Change Text in Flash Clock ? A: In many of my Flash Clocks you are likely to find animated text and some times non animated text as well. You can highlight these animated text by clicking your left mouse button and dragging it till the end of text and then type what ever you want on your keyboard to replace the text. The new text you typed in will stay as long as the flash clock is running. The text is useful expecially when you want to use it in a presentation etc where you want your name or your company name to be displayed inside the flash clock dial. It looks really professional. Q: How to Change Text in E-Greeting Card Flash Clocks ? A: Some of my Flash Clocks are designed to send out some greetings to your friends and relatives. It is possible to embed your greetings permanently by changing a part of the text inside an "extmessages.txt" file which I have put along with the E-Greeting Card Flash Clock .zip files. You can change the Greetings inside the extmessages.txt and send it along with the clock. Ensure that both files are in the same location in your computer. You may email the E-Greeting Card Clock along with the extmessages.txt file to anyone you want with specific instructions to them to download both the clock.swf and extmessages.txt files to their computer.